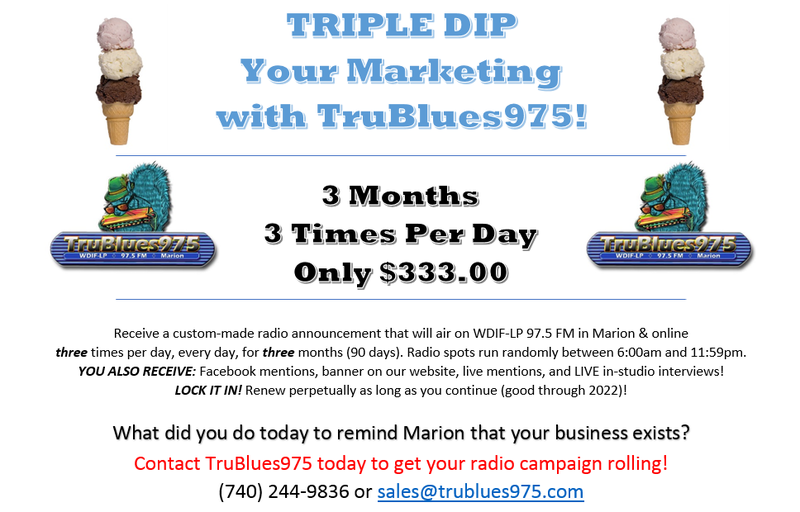 The Best Deal in Marion Radio! 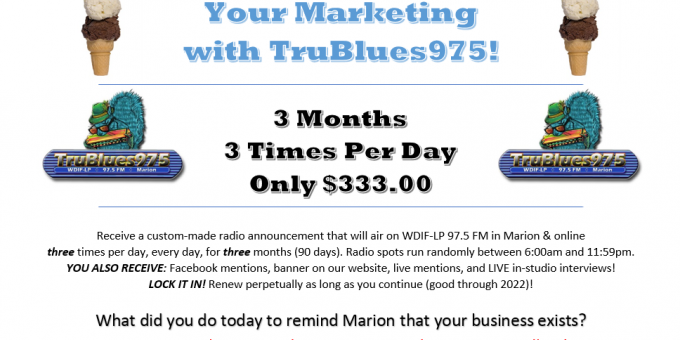 They say it’s taboo to show your prices in radio. Well if that’s true, then we’re a black cat walking under a ladder with a broken mirror! Now you might ask, “Is it really the best deal? 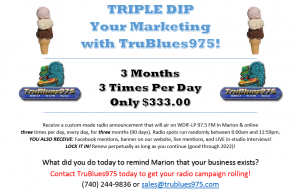 The big corporate stations offer a larger audience, and the little hobby stations offer more plays per day.” Yes, Mr. Strawman, we do have the best deal, and we’ll proudly show you how and why with real, independent (Nielsen) data. This underwriting promotion is valid for new clients only, expires February 28, 2019. And as always: ask for the ratings!